A wrongful death is any death that was directly or indirectly caused by negligence, willful conduct or indifference to the safety of others. In some wrongful death cases, the victim dies immediately, as in a fatal car or motorcycle accident. Others may die months or even years after the initial injury because of complications or illness. Any wrongful death case emerges from a tragedy, but to the insurance companies, even a tragedy is an opportunity to save money. That's why they'll use their vast legal resources to try to limit the amount of compensation they give your family. They may downplay the economic cost of the death or even say that the decedent (the person who died) was responsible. 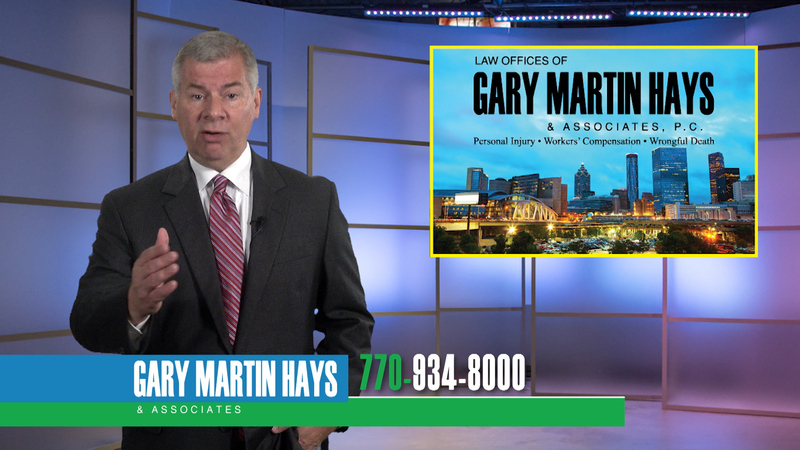 When you call Gary Martin Hays & Associates for your free case consultation, we can help you understand who can file a wrongful death suit, as well as the types of benefits that are commonly included in such a legal action. Act quickly. A claim of negligence must be filed within two years of the death. Sometimes the time frame is even shorter, and in any case, a delay might affect your family's legal rights. Our attorneys can advise on when a claim must be filed in your case. In my 28 years of practicing law, I have been involved in so many cases that have just broken my heart. When you investigate the wrecks or the on the job accidents, and you see the photos taken at the scene - photos of men, women and even children who have died - it leaves an indelible mark on you. I can never forget the faces. And I'll tell you something else I'll never forget: the faces of the family members that were left behind to grieve the loss of their loved one. And I'll always remember that in their darkest, most difficult time, they trusted me, they trusted the members of my law firm to help them through it. And we did help them, with care and compassion, through the emotional and legal struggles that confronted them. I've served as part attorney, part counselor, while guiding them through the legal process. I've listened to them share their fond memories of their loved ones. And I've cried with them, too. I firmly believe every family that has lost a loved one because of someone else's negligence needs and deserves an experienced attorney that cares, that will take action, that will listen, and that has the resources and successful track record to take on the insurance company. "Speak up for those who cannot speak for themselves, for the rights of all who are destitute. Speak up and judge fairly, defend the rights of the poor and needy." When I enter our building, it is a reminder to me and my staff of the tremendous opportunity we have to help people, oftentimes through some of the most, if not the most difficult circumstances they have ever faced. This Bible verse guides what we do and reminds us why we do what we do. The state of Georgia has established the following protocol for determining who can file to collect benefits from a wrongful death claim. Our experienced attorneys can help you choose the best course of action. Call today for a free consultation. The surviving spouse can file to recover damages from the responsible parties. If there are minor children in the household they will be considered among the beneficiaries of any settlement. If there is no spouse or children, the rights to file pass to the parent(s) of the deceased. When there is no spouse, child, or parent, whoever is serving as administrator of the deceased's estate may choose to file a claim on behalf of any other next of kin. The types of wrongful death benefits you may be entitled to receive depend generally on the nature of the accident or injury that led to the victim's death. In cases such as drunk driving, nursing home abuse, or other instances of gross negligence, the court may determine that punitive damages are in order to serve as punishment for the negligent party's actions. It is also important that a wrongful death claim be filed within two years of the death (or sooner with certain types of accidents - the statute of limitations varies by the type of claim and even the type of defendant). The sooner you reach out to an attorney, the stronger your case will be. Be sure to contact our office right away even if you are not sure that the standards for a wrongful death claim apply. We will listen to the details of your case and advise you of your options.